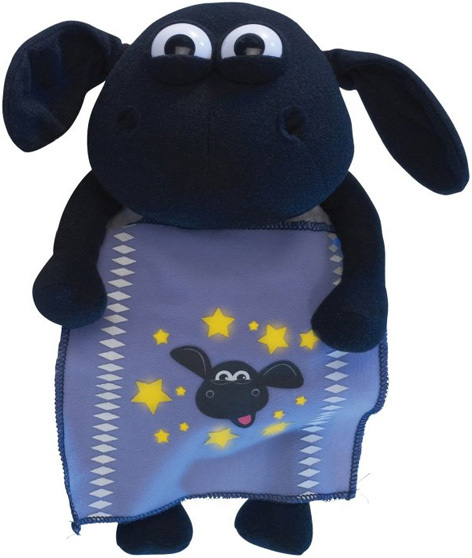 Fans of children’s TV show Timmy Time (featuring that mischievous cousin of Shaun the Sheep of Wallace and Gromit fame) were thrilled to hear about the launch of the Lulla-Baah Timmy toy. This is the perfect toy to settle Timmy fans down before going to sleep. All you have to do is gently press Timmy's tummy and he'll start singing one of his favourite nighttime nursery rhymes, Twinkle Twinkle Little Star. Better still, Timmy's blanket gives out a soothing glow-in-the-dark light for when the bedroom lamp is switched off. Just snuggle him up into his blanket and watch him gradually drift off to sleep, hopefully taking his young owner with him into the land of nod! It's certainly a more enjoyable alternative to counting sheep! Please tell us what you think of Lulla-Baah Timmy by Timmy Time and Aardman.